Annotated bibliography of databases and print sources for finding information on works sold at auction, and for finding auction catalogs. Search the Clark library catalog by clicking on the "Search Auction Catalogs only" link and then searching by date of sale. Check the page for other search tips as well. 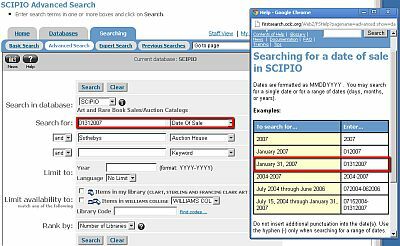 Searching Scipio by date of sale is easy - click on the Help button and choose the Searching for a Date of Sale option for examples of how to search for a single date or a range of dates. When searching for auction sales catalogs, the date of sale is often the most precise way to search. 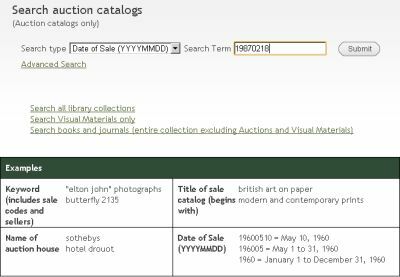 Most catalogs and databases that are configured to search for auction catalogs allow searching by some form of YYYYMMDD or DDMMYYYY. 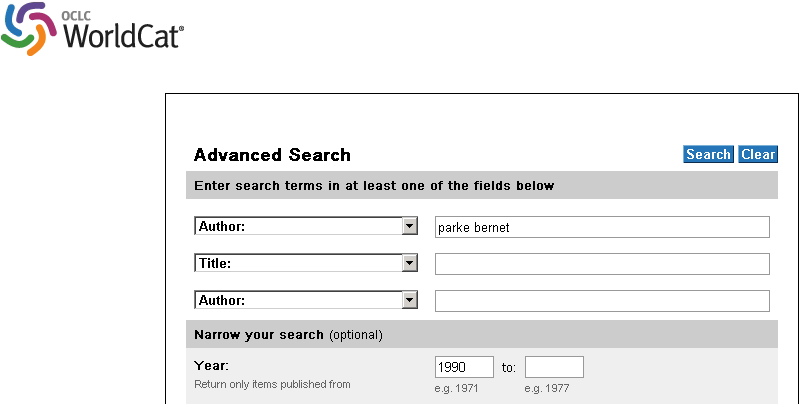 For catalogs and databases not so configured, try searching by keyword for the date as written, e.g. "may 5, 2010". In large databases, such as Scipio, it works well to do a combination search, e.g. date of sale and the name of the auction house (see the "Search Scipio" box at left for an example). Searching WorldCat.org (free via the internet) for auction sales catalogs is extremely tricky, because the catalog records are not standardized across time and most do not allow searching by date of sale. Unless you have a specific title with distinctive words in it (which is somewhat unusual), the easiest way to search is by auction house and year. Use the Author field to search for an auction house. Narrow the search by Year. ALWAYS use the Advanced Search screen in WorldCat! Search options in the internet version of this database are limited at best, but with the Advanced Search screen you can at least see what those options are and use them intelligently.